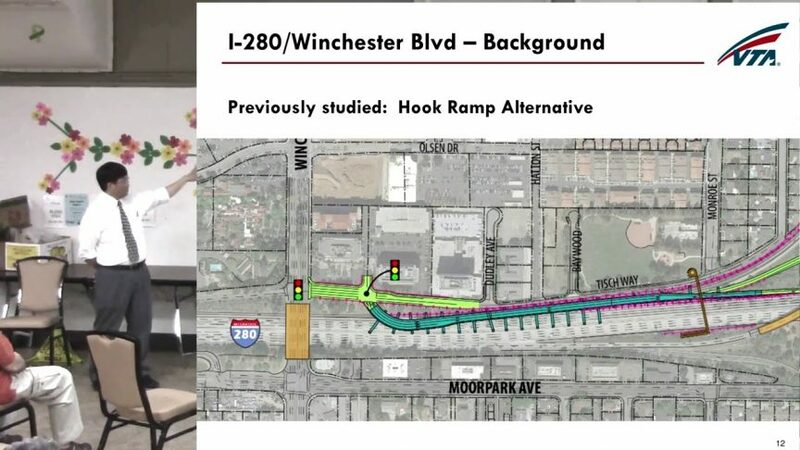 Speaking at the April, 2016 WNAC meeting, Casey Emoto of VTA describes the 280 corridor study the VTA has just started, as well the schedule for looking at the 280/Winchester interchange. Both of these studies are occurring now and community input will be gathered this summer. He points out that now is a good time for the community to give their input for ideas like caps over 280. He talks about the process for developing projects. As way of example he talks about their recent 680 corridor study. One of the ways they received comments for this study was through a crowdsourcing application. The first community meetings for soliciting community feedback are planned for this summer.